"Meditation" loosely represents the first three chapters of William Styron's memoir, "Darkness Visible" (the title is taken from Milton's Paradise Lost), which chronicles the author's struggle with clinical depression. The narrative – not reproduced here in its original sequence – begins with the American writer returning in 1985 to Paris, the site of his 1952 wanderjahr, to receive a prestigious literary prize. It is there that he becomes painfully aware of the rising desperation within, evidenced by his diminishing lucidity and a “despair beyond despair.” In the second chapter, Styron invokes the writings of Albert Camus, a literary idol also afflicted with depression, whose "Myth of Sisyphus" asserts that “judging whether life is or is not worth living amounts to the fundamental question of philosophy.” After considering Camus' depression and eventual suicide, Styron devotes the third chapter to a catalogue of artists who were victimized by depression, and, ultimately, destroyed by it. While the music does not end on a sanguine note, Styron's struggle does. After enduring a decisive confrontation with suicide, the author's narrative culminates in his survival. The guitar was chosen to capture the lyricism of Styron's prose, while also reflecting the highly introspective nature of his subject. 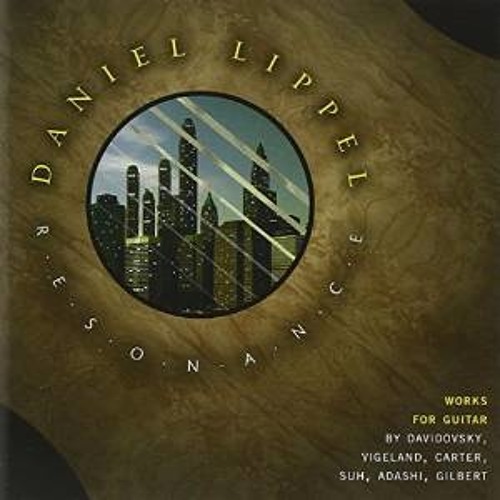 "Meditation" was recorded by Daniel Lippel on his 2005 CD, Resonance (New Focus Recordings 101).